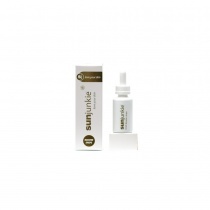 Wherever possible Sunjunkie will deliver from stock. Delivery charges are as quoted on placement of order. Delivery times are only estimates and we assume no liability for delays in delivery however caused. We use Royal Mail and Parcelforce. Delivery is dependent on weight of item ordered and will be charged in accordance. UK Delivery information Orders received by 2pm on a weekday will be shipped the same day or in any case of unforeseen delay the following day. Orders received at the weekend on Saturday and Sunday will be shipped out on Monday. On orders placed before 2pm we guarantee the item(s) will be dispatched the same day, via Royal Mail UK General time is 1-3 working days or sooner. We do offer a guaranteed next day delivery at an increased cost. Please note Terms and Conditions apply to Free Delivery when requesting a refund please be sure to read our returns policy. I am buying from outside of the EU, what happens to custom and import costs? 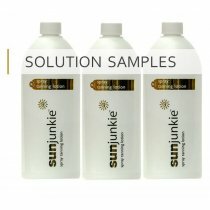 We are certain you and your clients will love the Sunjunkie Collection, but if for any reason you are not completely satisfied with your purchase, we will do our best to help. A request must be made to Sunjunkie within 28 days of receipt of goods. If you wish to return unwanted goods, please ensure that all products purchased are returned kept in its original un-used and unopened condition original packaging. Your statutory rights are not affected. All spray tanning equipment comes with a 1 year warranty and a manufacturers guarantee. Should you wish to return any equipment A request must be made to Sunjunkie within 28 days of receipt of goods. If you wish to return unwanted goods, please ensure that all products purchased are returned kept in its original un-used and un-opened condition original packaging. Your statutory rights are not affected. Refunds will be subject to purchase price at the time of purchase. Carriage charges will not be funded but may be added as a credit onto your Sunjunkie account. Please contact us for more information on payment and security. © 2019 Sunjunkie. All Rights Reserved.